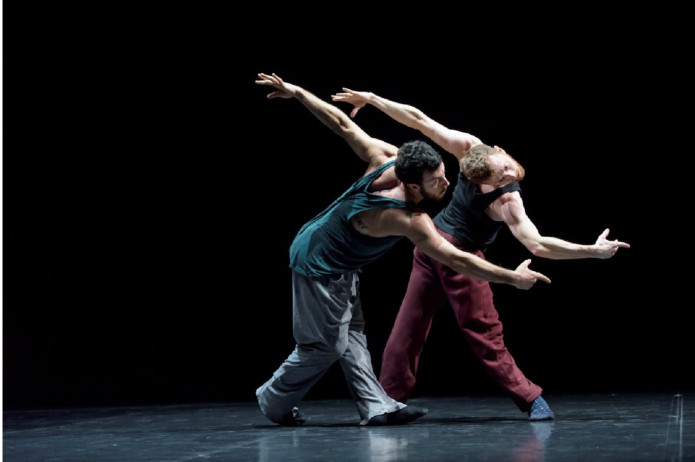 [EN] Undoubtedly one of the foremost choreographers of his generation, William Forsythe returns to the Grand Théâtre with an evening combining both new and existing work. Forsythe has imagined something akin to an evening of chamber music, designed to be listened to. The four works range from sparse analytic condensation to baroque inspired counterpoint. The intricate phrasing of the dancers’ breath is the primary accompaniment for a distillation of the geometric origins of classical ballet. In DUO2015, the dancers register time in a spiraling way, make it visible, thinking how it fits into space, they pull time into an intricate, naked pattern that unfolds as they tumble, shear, strike, reverse. An “intricate, almost baroque piece” – this is how the celebrated choreographer himself described Catalogue (First Edition). The richness of the bodily knowledge shared between Jill Johnson and Christopher Roman, both former Forsythe dancers, and Brit Rodemund, is part of the rich fabric of this piece. 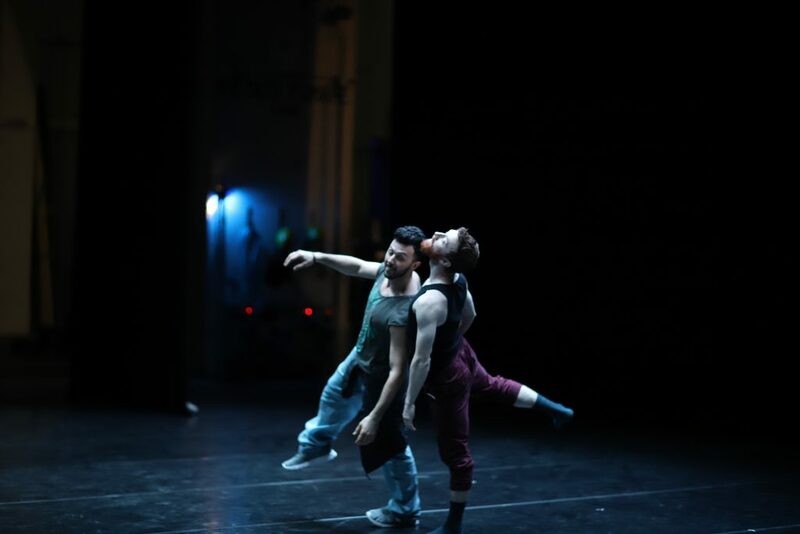 Completing the programme will be two new works, which will have their world premiere at Sadler’s Wells, London in October 2018. The evening is performed by 7 of Forsythe’s most trusted collaborators who promise to provide insight into the workings of ballet and the mind of the man who dedicated his life to the task. [DE]Der weltberühmte Choreograph William Forsythe kommt nach langer Zeit wieder nach Luxemburg und lädt zu einem Quiet Evening ofCATALOGUE (FIRST EDITION) © DOROTHEA TUCH Dance ein. Höhepunkt des Abends ist die Präsentation von zwei neu kreierten Werken, uraufgeführt im Oktober 2018 im Londoner Sadler’s Wells Theatre. Daneben stehen zwei Duos auf dem Programm. Zunächst das DUO2015, getanzt von Brigel Gjoka und Riley Watts. Es ist eine neue Version des 1996 uraufgeführten Duos für 2 Frauen, das das Luxemburger Publikum 2009 mit Tänzerinnen der Kompanie Gauthier Dance erlebte. Das Duo Catalogue (First Edition) hat Forsythe für das Ensemble Dance On speziell für die Tänzer Jill Johnson und Christopher Roman kreiert. Die beiden arbeiten seit langem eng zusammen und haben viele von Forsythes Werken überall auf der Welt einstudiert. William Forsythe, geboren 1949 in New York, zählt zu den bedeutendsten zeitgenössischen Choreographen und gilt als Erneuerer der Ballettpraxis. 20 Jahre lang hat er das Frankfurter Ballett geleitet. Nach dessen Auflösung gründete Forsythe 2005 ein neues Ensemble, The Forsythe Company, das er bis 2015 leitete. [FR] William Forsythe est l’un des plus grands chorégraphes de sa génération. Son programme, interprété par 7 de ses collaborateurs les plus fidèles, sera un peu comme une soirée de musique de chambre, déclinée en quatre œuvres révélatrices. Catalogue (First Edition) est une pièce complexe, presque baroque, dont le tissu a trouvé sa texture expressive grâce à la richesse des connaissances corporelles de ses trois interprètes: le duo, sublime par sa relation particulière et ses sensibilités partagées, de Jill Johnson et Christopher Roman, 2 fidèles collaborateurs de Forsythe; et Brit Rodemund, qui n’avait jamais travaillé avec lui auparavant, mais qui s’est si vite intégrée au projet. DUO2015 est telle une horloge composée de 2 danseurs. Ils rendent le temps visible, réfléchissent à la façon dont il s’insère dans l’espace, l’intègrent dans un motif complexe qui grandit et se déplie lorsqu’ils dégringolent, cisaillent, frappent, renversent. Leurs corps brillent dans un miroitement de noir. Ils s’envolent avec une précision insouciante. La musique lointaine apparaît et disparaît. New Work 1 et New Work 2 seront créées au Sadler’s Wells à Londres en octobre 2018.